"A contemporary interpretation of the foundational text for the practice of yoga. Patañjali’s Yoga Sutra (second century CE) is the basic text of one of the nine canonical schools of Indian philosophy. In it the legendary author lays down the blueprint for success in yoga; now practised the world over. Patañjali draws upon many ideas of his time; and the result is a unique work of Indian moral philosophy that has been the foundational text for the practice of yoga since. The Yoga Sutra sets out a sophisticated theory of moral psychology and perhaps the oldest theory of psychoanalysis. For Patañjali; present mental maladies are a function of subconscious tendencies formed in reaction to past experiences. He argues that people are not powerless against such forces and that they can radically alter their lives through yoga—a process of moral transformation and perfection; which brings the body and mind of a person in line with their true nature. 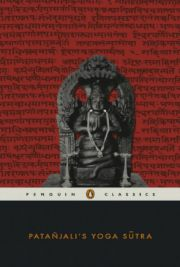 Accompanying this illuminating translation is an extended introduction that explains the challenges of accurately translating Indian philosophical texts; locates the historical antecedents of Patañjali’s text and situates Patanjali’s philosophy within the history of scholastic Indian philosophy."